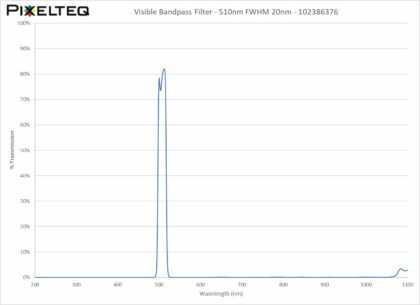 PIXELTEQ?s short-wave infrared (SWIR) optical bandpass filters deliver precise transmission of specific SWIR spectral bands while blocking out-of-band signals at higher and lower wavelengths.? The multi-edge bandpass filters transmit wavelengths defined by a nominal center wavelength (CWL) and bandwidth (FWHM – Full Width Half Max) while reflecting both shorter and longer wavelengths.? 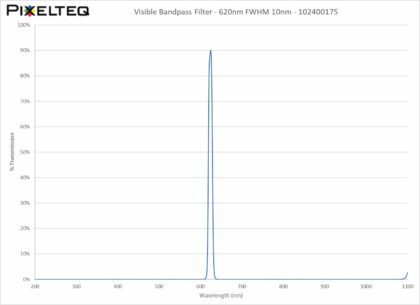 Also known as thin film or interference filters, PIXELTEQ?s bandpass filters use multi-layer hard coatings that provide durable performance without fading or aging in high output luminaires. The SWIR range extends from 1.1 ? 3.0?m (1100-3000nm), beyond human vision and primarily in the responsivity of indium gallium arsenide (InGaAs) and mercury cadmium telluride (HgCdTe or MCT) detectors.? 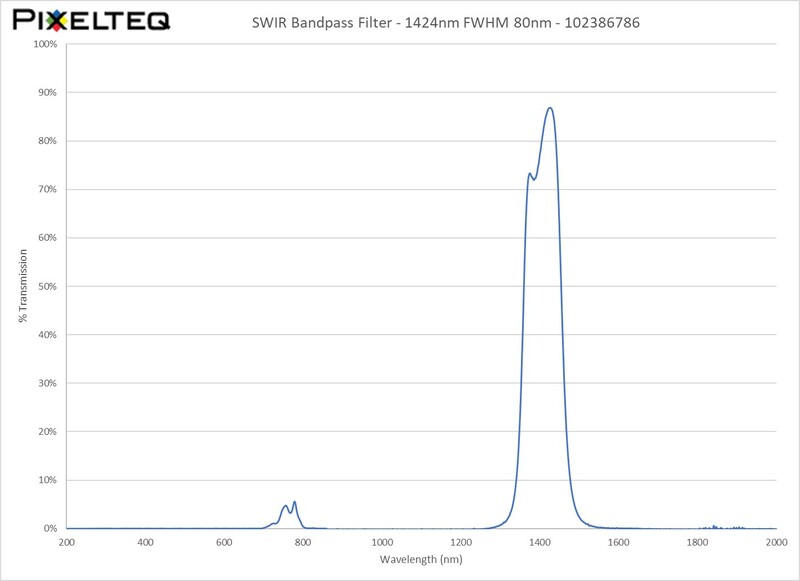 Many applications involving low light, obscured vision, human tissue, vegetation, water absorption, and other materials have valuable spectral signatures in the SWIR region that can be evaluated using precisely positioned bandpass filters. Unlike absorptive colored glass or polymer gels, these thin film interference filters are virtually absorption free ? providing superior transmission, high-contrast spectral bands, and true lifetime performance.? Dichroic bandpass filters can be designed for narrow bandwidths (5 and 10nm typical) or wide bandwidths (50 and 100nm typical).? They also have steep edge transitions between the high transmission bandpass and shorter and longer wavelength reflection bands ? much steeper than colored glass or polymer gels. 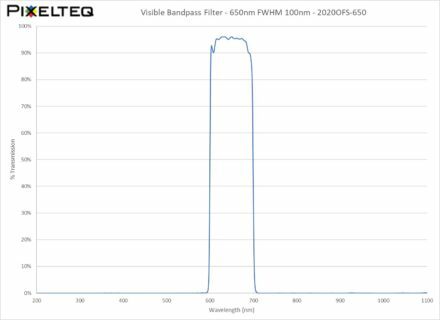 Custom spectral bands are available to match specific bandwidths and cut-on & cut-off wavelengths ? engineered for your specific application to deliver the targeted spectral output.? These bandpass filters can be patterned on glass optics and wafer-level devices for integrated spectral sensing and imaging. ?Multiple bandpass filters can also be micro-patterned for multispectral sensing and imaging applications ? with potential combinations including SWIR, NIR, and visible bands on a common InGaAs sensor.? In addition to customized coatings, the optics are delivered in the form to fit your application ? in specific substrates, shapes, and sizes.